Click here for more information about joining us. 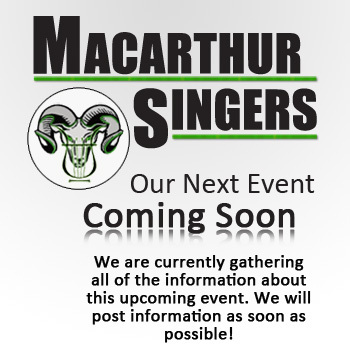 Macarthur Singers is a community choir that has been proudly representing and serving the Macarthur District for more than 35 years. Currently comprising fifty members, we welcome participation by all members of the community including inexperienced and experienced singers, who work together to produce choral performances that are renowned for their professional quality. The choir was recognised for our contribution to the local community with a Camden Council Australia Day Award in 2011. Macarthur Singers perform a wide repertoire of choral music including modern popular music, musicals, jazz, folk music and spirituals, and the great classics such as Handel and Mozart. We conduct concerts each year at a variety of locations, from local Macarthur venues to the Sydney Town Hall and the Opera House. In addition, we conduct community performances each year at the Camden library and nursing homes in the Macarthur area. Our greatest asset is our wide assortment of talents, skills and experience. The diversity in our choir family is also important. We have many unique and charismatic individuals who sing with us, ranging from people who have been singing all their lives to people who have just discovered their love of music. If you would like to Learn More About Us, please see our Upcoming Events or Past Events or visit our extensive collection of Images, Videos & Music. We hope you enjoy browsing our site and its content.